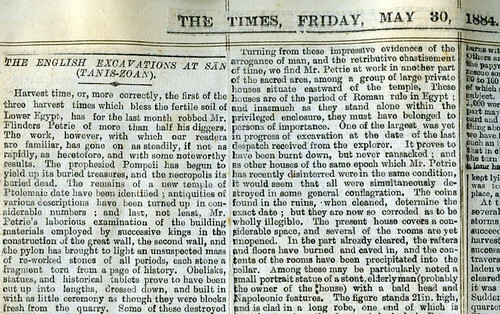 The effective use of mass media has been centrally important to the work of the Society since its beginnings, when Amelia Edwards regularly re-cast the letters sent by Flinders Petrie from Egypt as dig reports for The Times. 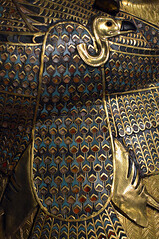 Television in particular has been the subject of scrutiny by historians of archaeology in recent years (see e.g. the recent event featuring Sir David Attenborough organized by the Cambridge Division of Archaeology Personal Histories Project, and this article by Don Henson of the CBA), and series such as ‘Animal, Vegetable, Mineral’, now widely regarded as having been the first in a line of iconic, archaeology-related BBC series along with ‘Chronicle’ and ‘Timewatch’, are a valuable record of the way in which archaeology has been presented to the public, and an important source for the study of the history of our discipline. In the last half-century television has also played an important role in helping the EES to ‘spread the word’ about its work. 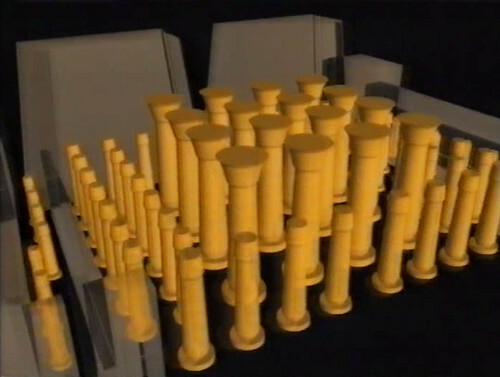 For several years during the 1970s the Society regularly arranged showings of the latest Egyptology-related films for members. 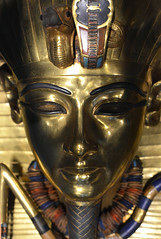 As the Annual Reports of the time record, these included films on work at Saqqara, “Professor Harrison’s medical investigation of the Tutankhamun mummy”, “the Ray Smith El-Amarna project, “Nefertiti and the Computer””, and The Night of Counting the Years which was also shown at Doughty Mews in 2010. Having begun to make more use of multimedia including video in the last few years, we decided it was time to revive this practice by showing excerpts from a series of films featuring EES work, and on 25 February 2012 hosted a seminar entitled ‘Programmes on the Past: ancient Egypt on television’ at Doughty Mews. 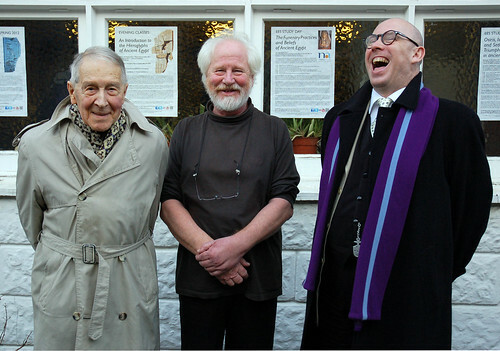 We had also invited several people who appeared in the films on behalf of the EES to discuss their involvement, and share their thoughts on the way their work was portrayed: Dr Robert Anderson, the Society’s Honorary Secretary from 1971 to 1982 who appeared in Fortress, and Dr David Jeffreys, Field Director of the Survey of Memphis (SoM) and Professor Geoffrey Martin, former field Director of the joint EES-Leiden expedition to the New Kingdom Necropolis at Saqqara,* both of whom appeared in Memphis: Capital of Egypt. John J Johnston, the Society’s Vice-Chair and an expert on Egypt in popular culture, provided an introduction to For the Love of Egypt. Robert was responsible for the Society’s events programme throughout the 1970s when the film showings were arranged. From his willingness both to show such films to EES members and to appear in them himself it is evident that he was aware of their value as a channel for communicating with the public. Although his main role on the day was to discuss his involvement in the Fortress documentary Robert had also appeared in a Chronicle film entitled The Key to the Land of Silence (available to view via the BBC Archives here) on Champollion’s decipherment of hieroglyphs. Robert is shown at the beginning of the film teaching an evening class on Egyptian language. The classes were hosted by the EES at Doughty Mews throughout the 1970s, another practice begun by Robert and revived only recently, and the footage was shot in the very room in which the seminar took place, providing a neat introduction to the day. The Fortress on the Nile documentary featured Robert and colleagues in action at Qasr Ibrim and discussing a series of historical issues, particularly the identity of the Nubian X-Group. Robert recalled that he had had considerable influence on the script and narrative thread of the film, which came as no surprise to those present: the film is very thorough, lasting approximately 90 minutes during which a series topics are dealt with in considerable detail. 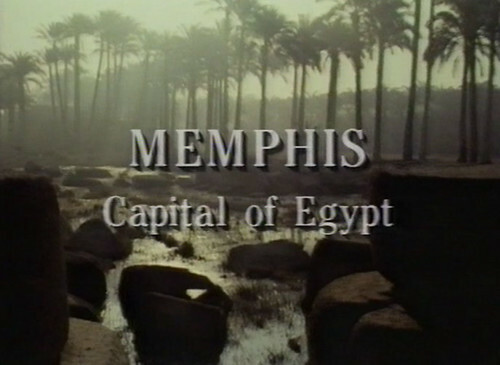 By contrast, the second film on Memphis dealt with three major archaeological projects in only an hour. The first of these was the Society’s Survey of Memphis, and the second the joint EES-Leiden expedition to the New Kingdom Necropolis at Saqqara. The third project was unconnected to the EES work and was not shown at the seminar. Interestingly both David Jeffreys and Geoffrey Martin regretted not having greater control over the programme as edited for broadcast, in both cases partly due to the important work of colleagues – which had been filmed – having been cut. 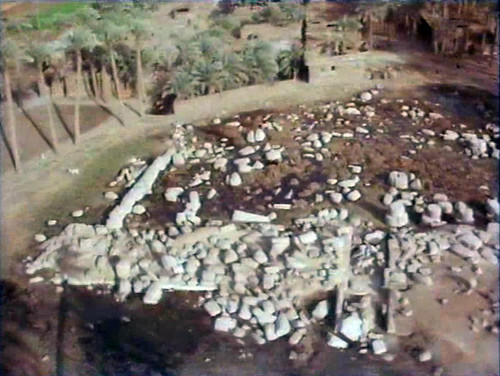 It was particularly interesting to see the investment made by the BBC in presenting the work in an engaging way, and in particular that aerial footage had been shot and a 3-D reconstruction of the temple of Ptah at Memphis especially created for the programme, providing viewers with an excellent visualization of the site, of the kind that was beyond the Society’s own means at the time, as, sadly, is still the case today. 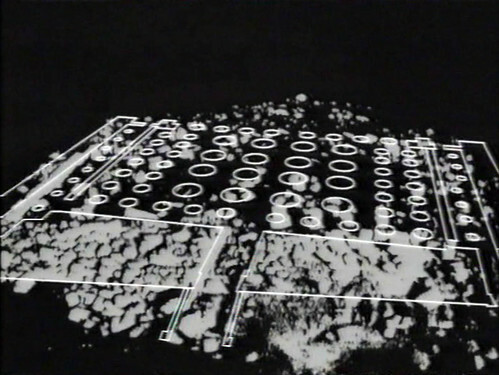 From the Society’s point of view it is frustrating that we do not own any rights to, or even copies of, the aerial footage – which David explained had explicitly been promised to the Society – or 3-D reconstruction. These sequences in particular would potentially be of great use to us now in our efforts to articulate the work of the SoM. Showing the section on the New Kingdom necropolis at Saqqara from the same film seemed especially timely. 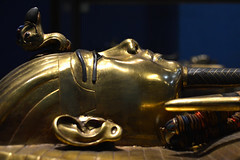 This section concentrates on Professor Martin’s rediscovery of the tomb of Tutankhamun’s Treasurer, Maya and his wife Meryt, which turned out to be very finely decorated. After many years painstaking work uncovering, recording and studying this beautiful monument, the final publication of the relief decoration is currently in press and due to appear in the next few weeks. 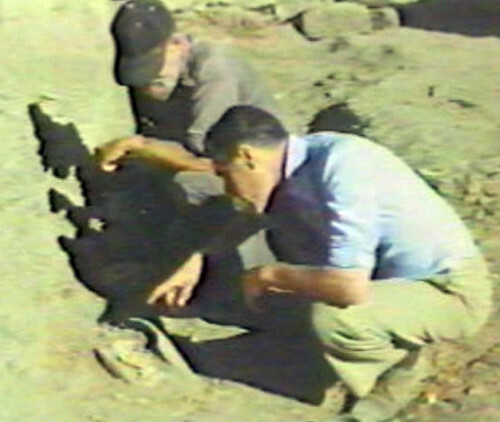 It is perhaps difficult to imagine, for those of us who have only been involved with the EES in recent years when the Society has received very little media attention, but the discovery of the tomb caused a sensation at the time and was widely reported in the national and international media, as this ITN news report from 10 February 1986 attests. Professor Martin spoke very engagingly however of the difficulty of balancing the demands of the media with those of the work. Although the Society must undoubtedly have benefitted from the exposure brought to the project, it seems the experience was not an entirely happy one for Professor Martin. Finally, John Johnston provided an introduction to For the Love of Egypt, a dramatization of Amelia Edwards’ work in founding the EEF. 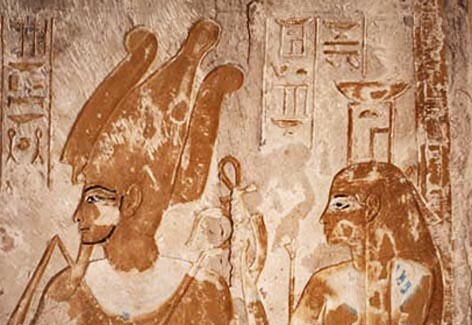 Amelia’s mission was, first of all, to found an organization devoted to the investigation of ancient Egyptian sites and monuments, and having done that, to share the knowledge gained with the public both for the good that brought in itself and for the purposes of generating further interest and funds. Amelia made use of all available channels to popularize the Society and its work – excavation memoirs, a popular travelogue (1,000 Miles Up The Nile) and countless articles for newspapers and journals. She deliberately cultivated a relationship with the press, and it seems highly likely that her interests would have extended to other media, including television, had she been around today. Television companies and learned institutions like the EES have not always been easy bedfellows, however. Although the aims of both parties, i.e. the sharing of knowledge, are broadly the same, there is a certain incompatibility which can lead to certain frustrations of the kind alluded to during the seminar. Broadcast television is, by its nature, somewhat ephemeral: a film may be shown to millions on television but then swiftly disappears and becomes inaccessible even to contributors (notwithstanding home video recording, DVD releases and now iPlayer). The television company moves swiftly on to the next project, but films of this kind might potentially be used over and over again by an organization like the EES. From a televisual point of view, the material might date very quickly to the extent that it becomes unusable, but from the archaeological point of view an overview of work such as that of the Survey of Memphis retains its currency for decades. And yet the EES has little or no access to the material. 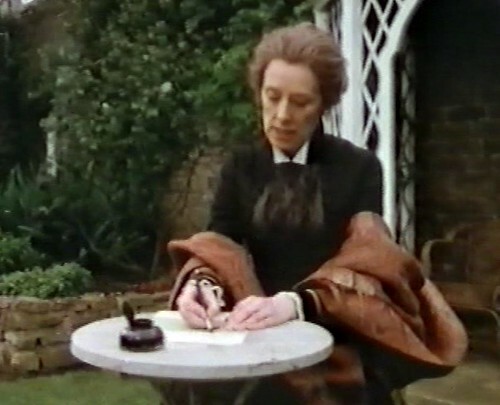 I hope that in future we might be able to improve this situation, by cultivating better relationships with organizations such as the BBC, as Amelia might have done, and the forthcoming Petrie documentary, the first the Society has been involved in for a number of years, is perhaps a step in the right direction. *Although formerly a joint EES-Leiden project the expedition is now solely a project of the National Museum of Antiquities at Leiden and Leiden University and is supported by the Friends of Saqqara.